Ireland's largest private landlord, I-RES REIT, has almost trebled the number of State-funded social tenancies on its books. The company, which last week announced profits of €19 million for the first half of this year, confirmed to RTÉ's Morning Ireland that it has 303 tenants receiving a Housing Assistance Payment (HAP). It equates to 11% of I-RES's total portfolio of rental properties of 2,678. In 2017, just 4% of the company's properties were rented to State-funded tenants. 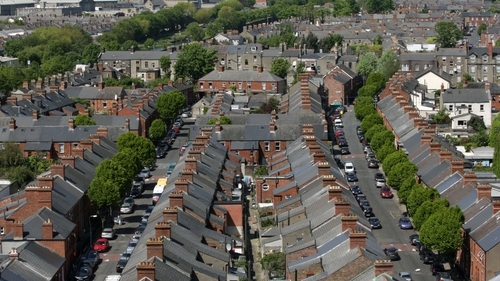 The Department of Public Expenditure and Reform recently recommended that the State place a greater focus on building social houses rather than resorting to the private sector rental market to solve social housing needs. As part of a value for money analysis, the department found that in parts of Dublin the State could build social houses for up to half the money it would have to spend on rent for social housing tenants. The findings tally with research by Dr Mary Murphy, Lecturer in Irish Politics and Society, at Maynooth University. "When the Housing Assistance Payment (HAP) scheme was introduced it was very clear that the State couldn't afford to build in the short term," she said. "It was quicker to utilise the private rental capacity that was out there. "But, I think the problem now is it is embedding as one of the only options through which to deliver social housing. "We know that international investment companies are very mobile and they will go once their profit base is eroded. You are left with a big hole in the provision of social housing." I-RES REIT recently committed to buying 99 units in a new estate in the Hansfield area of west Dublin. He said: "We are lining the pockets of mega landlords with super rates of rent that are astronomical. It is money down the drain. Money that could be invested in building social and affordable housing schemes." Dr Murphy is concerned that not enough consideration is being given to the implications of having private landlords overseeing social housing provision. "Very little thought has been put into whether or not there will be large concentrations of HAP-funded social housing in private-sector managed properties, with little thinking about the social outcomes around it." The Department of Housing confirmed that €300m is earmarked to pay for HAP this year. The budget for further years is not finalised. A spokesperson added that by 2020 the State will be housing more people using builds, acquisitions and leasing schemes, than it does through HAP. Rents have risen sharply since 2013 when the HAP Scheme was first initiated. The scheme leaves it up to someone on the housing list to find private sector rental accommodation to suit themselves. The local authority commits to pay up to 87% of the rent to the landlord on behalf of the State. Monthly HAP payments of up to €1,950 are available for families at risk of homelessness. Interim results published last week show I-RES REIT had a 13% increase in net rental income to €19.3m across its portfolio, up from €17.1m last year.